Daisy is a very sweet Chihuahua. I’m having a really good time drawing her. Please click here to order your own dog illustrations. Follow @thewanderpaws on instagram. Rudy is a sweet dog from Cleveland, Ohio. He just supported this project and made me so happy. 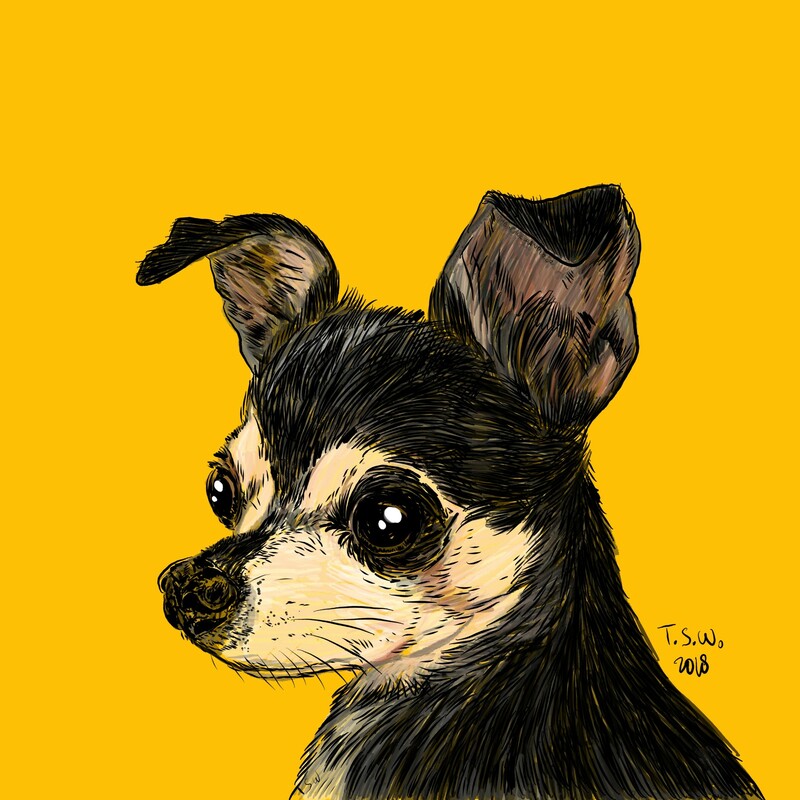 Follow Rudy on Instagram at @sweetlifeofrudy Please click here to order your own dog illustrations. Follow @thewanderpaws on instagram. This is uncle Morris, my uncle’s favorite Golden Retriever dog. Please click here to order your own dog illustrations. Follow @thewanderpaws on instagram. Toy Poodle Waffle owned by my friends. Please click here to order your own dog illustrations. Follow @thewanderpaws on instagram. 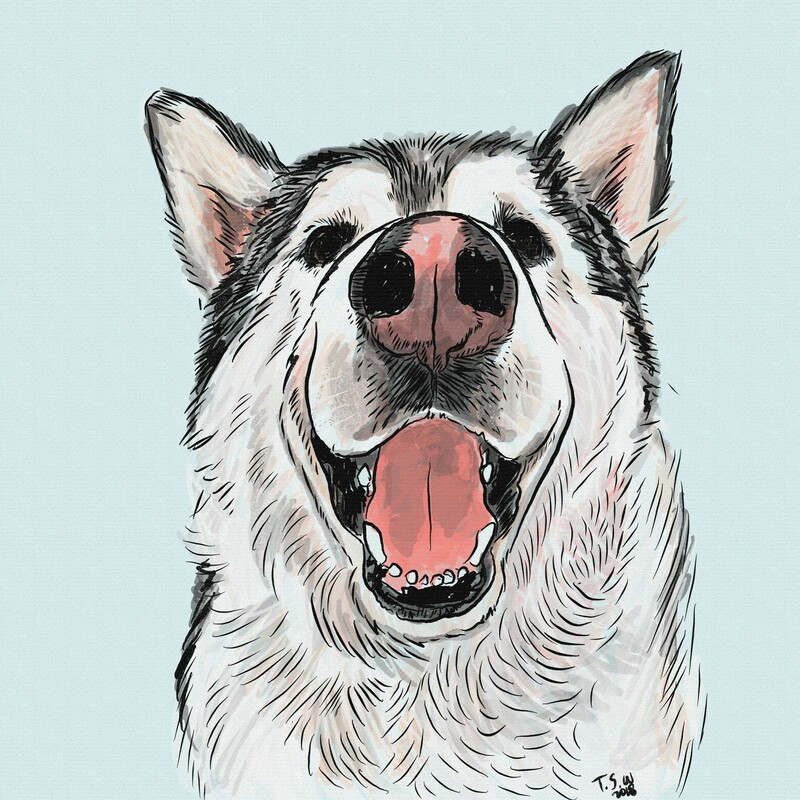 This is an illustration tribute to Doby and Blue the instagram’s celebrity dogs. Find them at @dobyandbluenon Instagram.